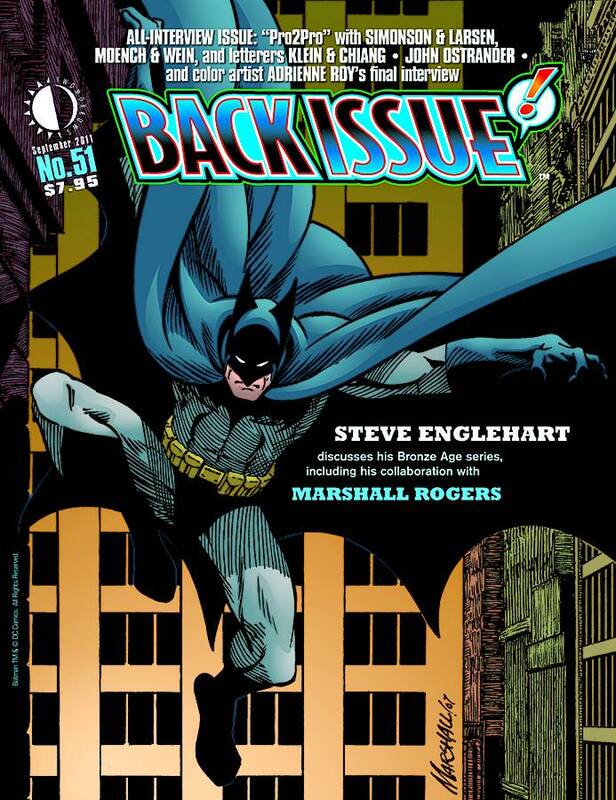 Back Issue #51 is an 'All-Interview Issue'! Continuing from the pages of Alter Ego #103 is Part 2 of an exclusive interview with writer Steve Englehart. Also: 'Pro2Pro' with Walter Simonson & Erik Larsen, Doug Moench & Len Wein, and comics letterers Todd Klein & Janice Chiang; plus John Ostrander and the final interview with longtime DC color artist Adrienne Roy, who passed away in December 2010. Featuring as our cover one of the last Batman illustrations produced by the late Marshall Rogers, En.